In November 2014 we launched a significant homing advertising pilot campaign in four regions around the Bridgend, Nottingham, Truro and Eastbourne areas. The aim of the campaign is to reach new audiences who might consider adopting a cat from Cats Protection, to rehome more cats and assess the potential impact of rehoming advertising on homing levels generally. We worked with an advertising agency on the campaign’s concept which highlights the various roles a cat can play in people's lives – whether it’s as best friend, playmate or soulmate. After research the concept was based around giving a home a cat rather than giving a cat a home. We then targeted potential homes with a message encouraging them to find the right cat for them with find-a-cat. The TV advert premiered on Monday 19 January. It features a cat walking around a home and leaving a trail of light on its journey, and interacting with its owners demonstrating how a cat can ‘light up’ a home. Of course, cat welfare is paramount to us and we had a vet present during filming to ensure the welfare standards were adhered to at all times. The vast majority of responses to the campaign have been online where we’ve seen a 50 per cent increase in rehoming enquiries. We are measuring and analysing responses to the full campaign so that we can fine tune and tweak activities to reach more of the most responsive audiences. 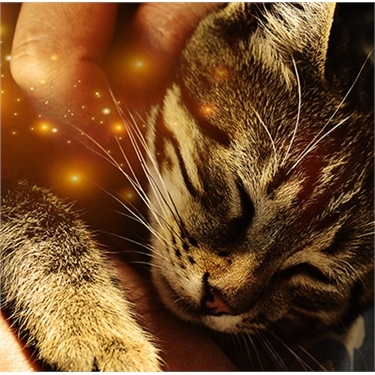 Normal rehoming checks are in place when respondents express an interest in adopting a cat.